For each of these characters, living or dead, what lies unasked or unspoken becomes an impediment not just to happiness or social mobility but to literal deliverance — and each must decide whether to rise to the occasion, whether to let what he or she harbors sound out. Maybe that’s the miracle here: that ordinary people whose lives have become so easy to classify into categories like rural poor, drug-dependent, products of the criminal justice system, possess the weight and the value of the mythic — and not only after death; that 13-year-olds like Jojo might be worthy of our rapt attention while their lives are just beginning. 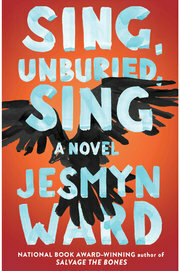 On this week’s podcast, Ward discusses “Sing, Unburied, Sing”; David Dobbs on five new books about Darwin; Kristin Cashore talks about “Jane, Unlimited”; Alexandra Alter has news from the publishing world; and Gregory Cowles, Jennifer Szalai and John Williams on what people are reading. Pamela Paul is the host. 2. Search for the series. Tap on the “search” magnifying glass icon at the bottom of the screen, type in “Inside The New York Times Book Review” and select it from the list of results.